from 10 a.m. to 3 p.m! 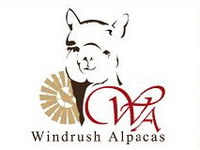 At Windrush Alpacas we would love to introduce you to the exciting and wonderful world of alpacas! Have you ever met a real, live alpaca? Have you ever wanted to touch one? Do you know how soft their fleece feels? Do you know how warm alpaca fleece socks are? Do you know what an alpaca cria is? Do you have any idea how an alpaca farm is managed? Learn all of this and more through our free guided pasture tours and educational demonstrations. 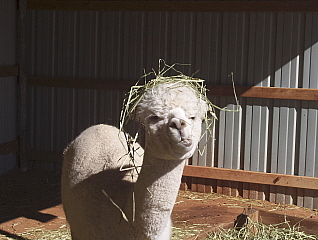 Experience how friendly alpacas can be and see how they interact. Then relax and enjoy free light refreshments - including some very special alpaca themed coffee! Our famous socks - like clouds on your feet! and alpaca fiber bird-nesting balls. Do bring your entire family. Do wear sunglasses and/or a hat if you find being in the sun too bright. Do pack a sack lunch and bring chairs if you want to picnic among the pacas. Please don't bring the family dog - alpacas are frightened of them. Please don't feed the alpacas. Don't worry about road conditions - we are on a paved road and easily accessible. 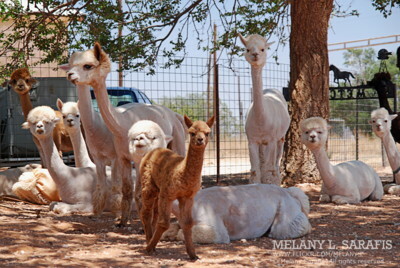 Thank you Melany Sarafis for her talent of capturing the alpacas on film. Visitwww.flickr.com/melanysfor more information.